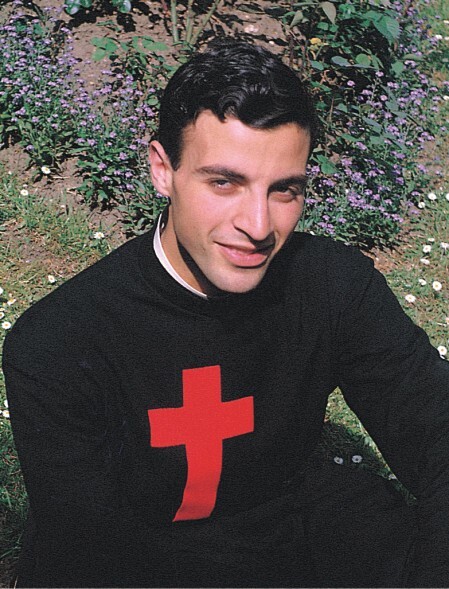 The servant of God Nicola D’Onofrio was born in times of war, in Villamagna, in the province of Chieti, 24 March 1943. At the age of seven he discovers his vocation to the priesthood: he wants to become a Camillian, but his family is opposed. After a long and hard time of waiting, in the autumn of the year 1955, he can enter the Camillian house of studies at Rome. On the 7th of October, 1961, he takes the simple vows of poverty, chastity, and obedience, common to all religious orders, to which the Camillians add a fourth vow, to serve the sick and the suffering, „etiam pestis incesserit“, nowadays translated as „always, also under danger of life.“ At the end of the year 1962 the first symptoms of the sickness are found, that should lead to his death at the age of only 21 years. On the 28th of May, 1964, he takes the perpetual vows. He dies on the evening of the 12th of June. His body rests at Bucchianico, close to the crypt of the sanctuary of St. Camillus, goal of innumerable pilgrims. In June, 2000, the process of his beatification has been begun at the Vicariate of Rome. Good and merciful God, who hast called Thy servant Nicola D’Onofrio to follow Jesus Christ by offering the riches of his young spirit and his burning heart in the service of Thy Son in the person of the sick: Glorify Thy faithful servant and grant that the young people of our days recognize in him a model of life in the way of love and sacrifice, to bring all souls to Thee, who reignst and livest with the Son and the Holy Spirit in the hearts of Thy children. Amen. Italian version (translation by the author of this site) with ecclesiastical permission. Please report every answered prayer to the following address: Religiosi Camilliani, Via Pecori, 51 - 00135 Roma, Italy.